Do you know how all the parts of your body will be affected by aging as you get older? Nearly every part of the body is affected by aging in some way, shape, or form. As the body ages, the cells get older and some of our bodily processes and internal organs begin to function less efficiently. In our previous blog post, we explained how age affects height and weight, muscles and bones, skin and hair, and the cardiovascular and respiratory systems. In this post, we will outline the changes caused by aging to the eyes and ears, mouth and teeth, and brain and memory. There are various age-related conditions and changes that affect the eyes. A common one is presbyopia, which refers to the loss of the ability to focus on objects that are near to the eye. As the eye ages, its lens hardens which causes light that enters the eye to focus behind the retina rather than directly on it. This makes activities like reading more difficult, as the eye is unable to focus on text without help from reading glasses or contacts. The amount of fluid produced by the eye also decreases with age, which may make the eyes more dry. Other conditions that become more common with age include macular degeneration, which causes the blood vessels and cells of the to eye break down, cataracts, which cause clouding of the lens of the eye, and glaucoma, which causes damage to the optic nerve. The ability to hear well is another bodily function that tends to deteriorate gradually with age. This is usually caused by factors which include family history as well as exposure to loud noise over time. Other factors which may contribute to hearing loss include smoking, certain medical conditions, and certain medications. As the ears age, it becomes more difficult to hear higher pitched sounds. It may also become more difficult to understand speech, especially in much later years. Vowel sounds are usually easy to hear, but certain consonants, like “s”, “h”, and “f” have higher frequencies, so they may be difficult for older adults to hear properly. Oral health is extremely important for older adults. As people age, their dental health tends to get worse. This is due to a combination of factors. One of these factors is dry mouth. Older adults tend to produce less saliva, which leads to the mouth becoming dry. Saliva helps keep the mouth healthy as it washes away plaque on the teeth and helps kill bacteria. Many medications commonly prescribed to older adults cause dry mouth as a side effect, which further exacerbates the problem. Teeth are commonly affected by this lack of saliva. This causes plaque buildup, which can lead to cavities and gum disease. Plaque is made up of bacteria which collects on the surface of teeth, and can harden to become tartar. Tartar’s rough, uneven surface collects even more plaque and can lead to cavities and tooth decay. Gum disease is also a common issue for older adults. It’s estimated that up to 70% of adults over the age of 65 have periodontitis, a form of gum disease. Periodontitis can damage the soft tissue of the gums that holds teeth in place, and can cause teeth to become loose and potentially fall out. Thankfully, cavities, tooth decay, and gum disease can be easily prevented with proper oral hygiene, which includes daily brushing and flossing, regular dentist visits, and adequate hydration. Like nearly every other organ in the body, the brain experiences changes with age, but these changes may or may not affect cognitive ability or cause serious cognitive decline. As the brain gets older, its overall mass begins to decrease. There are decreases in the volume and weight of the brain, as well as in the amount of blood that flows through it. It’s typical for neurons, the nerve cells in the brain, to die when they get older, but the brain is capable of building new connections between the remaining neurons to maintain normal function. The brain’s neuroplasticity, its ability to change and reorganize, can help keep the synapses and neural connections working properly even as some brain cells age or die. When it comes to memory and overall brain function, some cognitive decline is normal and comes with age. This can include things such as forgetfulness, difficulty remembering words or names, and misplacing things. It’s normal for older adults to become a little more forgetful and have some slight lapse in memory as the years go on. However, more significant cognitive issues could be signs of serious brain diseases, such as Alzheimer’s disease. Neurodegenerative diseases like Alzheimer’s aren’t a normal part of aging, and they degrade the brain’s function in a much more substantial way. Alzheimer’s causes plaques and tangles in the brain which damage the connections between neurons in the brain and seriously affect cognitive ability. These are just a few of the ways that age affects the body. Aging affects us on a cellular level, so it impacts all of the body’s internal functions and processes in one way or another. It’s important to stay knowledgeable about how the body is affected by age so we know what to expect and how to take the appropriate precautions. Some aspects of aging, such as the impacts on skin and hair, affect nearly everyone, but other aspects may be less common. 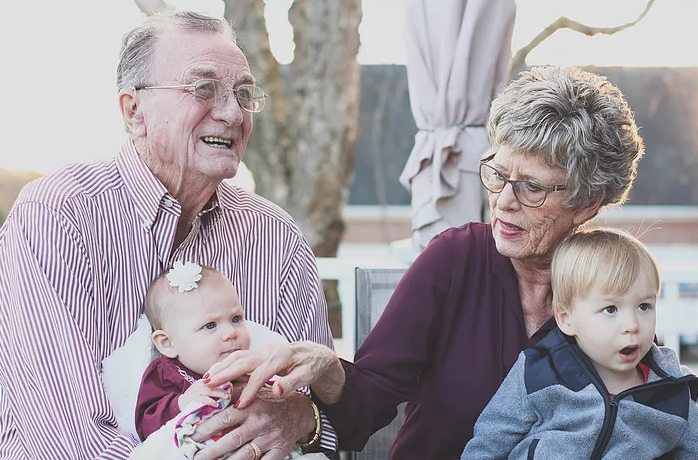 The biological process of aging affects everyone differently, but this blog post and the previous one outline some of the most common changes that most people will experience.